Yeah, yeah... I keep on threatening that I want to try out a couple of creative ways to take a self portrait, but I prefer being behind the camera which means that I am avoiding a self portrait photo shoot as long as possible. I got to spend the night at Pumba Private Game Reserve last night along with a couple of international journalists. On our afternoon game drive we encountered a male lion and I couldn't resist the temptation to make it as much about me as about him. 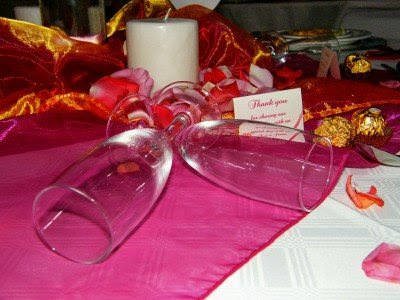 South Africa will be hosting the 2010 FIFA Football (Soccer) World Cup. Port Elizabeth is one of ten host cities and will host 8 games, including a quarter final and the 3/4 playoff. 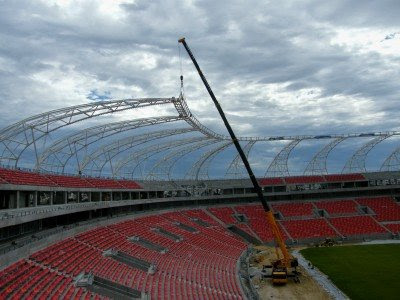 As we don't have a world class stadium in Port Elizabeth, we are one of the cities building a new stadium. 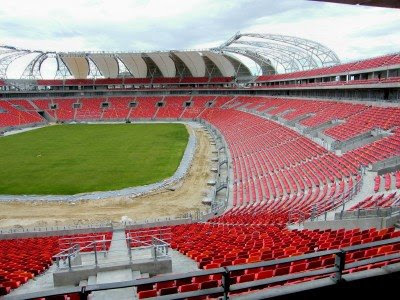 The 46 500 seater multi purpose stadium will be called the Nelson Mandela Bay Stadium. I was very fortunate the other day to be invited to go on a tour of the stadium and I was very impressed with what I saw. It will truly be something the city will be proud of when its completed. The stadium roof will consist of 36 girders keeping it up. The day we were there, no 27 went up. The girder gets lifted by a giant crane from the outside. Once it is in place it gets attached to the previous one. The big crane then gets disconnected and a smaller crane truck inside the stadium keeps it in place till all the attachments are done. These are two of the guys sitting on top of the girder busy attaching the two girders to each other. 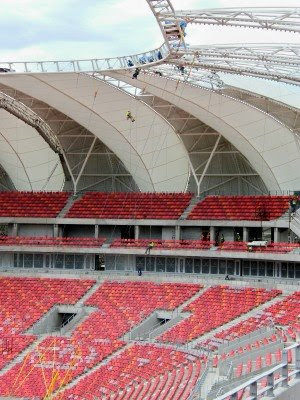 On the other side of the stadium workers are starting to cover the girders with the membrane that forms the roof. To get to the top workers use a step pulley system to get up and they have to abseil back down. 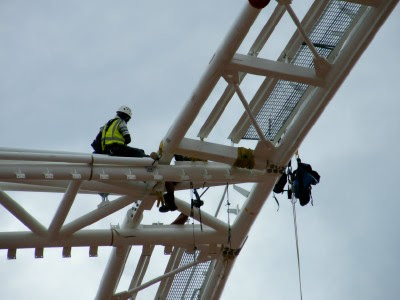 If the wind gusts over 55km/hour the workers have to get down from the top. While we were there the guys started to repel down. For more amazing photographers pointing their cameras skyward, go and visit Skywatch. 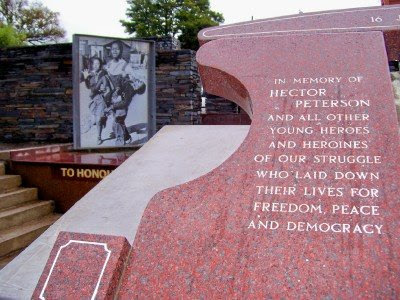 The Hector Peterson Memorial is situated in the heart of Soweto. 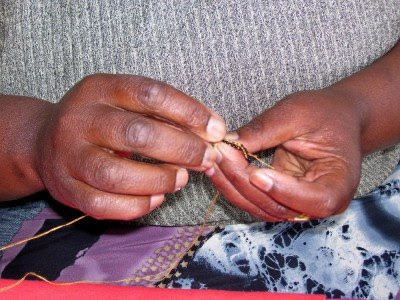 Soweto is South Africa's biggest township and is part of the city of Johannesburg. Hector Peterson became the iconic image of the 1976 Soweto uprising in apartheid South Africa when a news photograph by Sam Nzima of the dying Hector being carried by a fellow student, was published around the world. The young man carrying Hector went to ground immediately after the photo was published, fled to Mozambique and was never seen again. Hector was killed at the age of 12 when the police opened fire on protesting students. 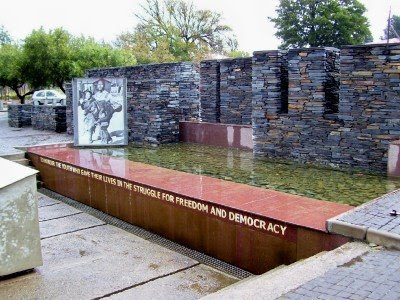 For years, June 16 stood as a symbol of resistance to the brutality of the apartheid government. 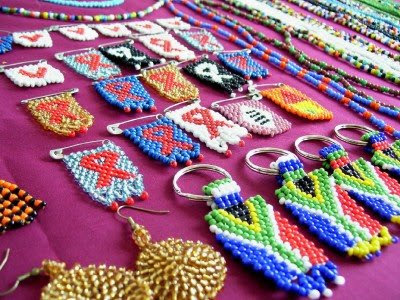 Today, it is known as National Youth Day — a day on which South Africans honour young people and bring attention to their needs. 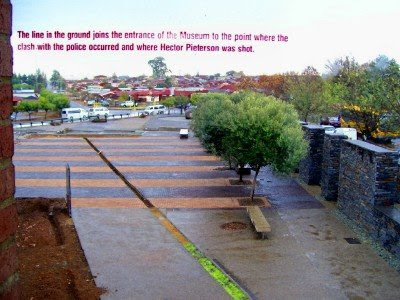 This picture was taken through one of the windows in the Hector Peterson Museum which is situated next to the Memorial. For today's "Random ..." theme I decided on Karoo Churches. 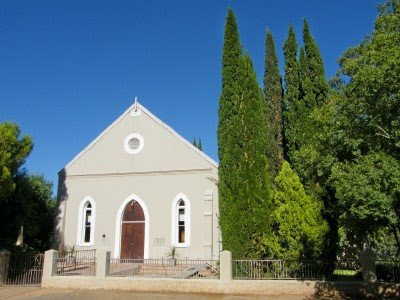 Most of the small Karoo towns have magnificent old churches that are well know landmarks in these towns. 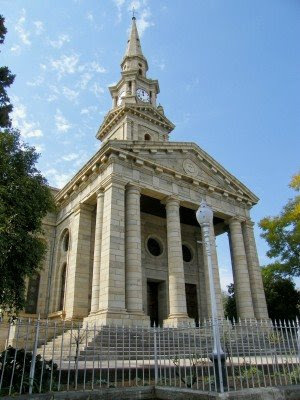 The Dutch Reformed Church (Moederkerk) in Cradock. Built in 1868, the design is a near replica of St. Martins-in-the-Field in Londen. 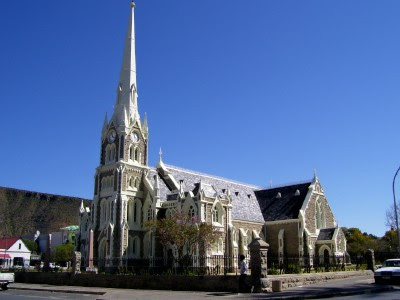 The Dutch Reformed Church (Grotekerk) in Graaff-Reinet. 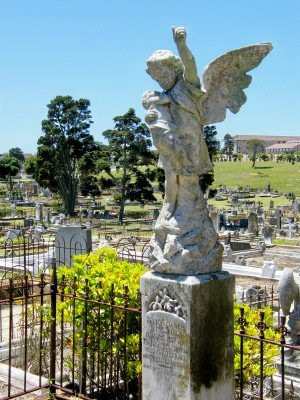 It was built in 1885 and the design was based on the Salisbury Cathedral in England. The Reformed Church in Venterstad, built in 1876. 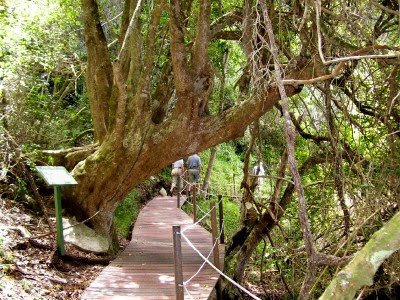 The Tsitsikamma National Park is truly one of the moulds that God used to create Eden for Adam and Eve. Magnificent forests with mountains as a backdrop and vertical cliffs in the foreground stretching down to the Atlantic Ocean smashing itself to foamy bits on pitch black rocks. All in all one of my favourite places in this beautiful country of ours. 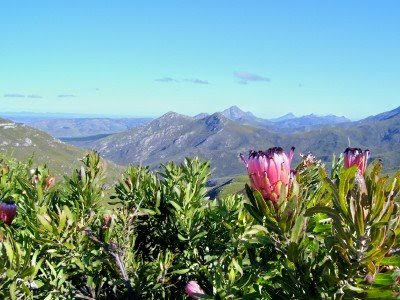 The park is one of the most popular tourist attractions on the Garden Route with both local and international visitors basking in its awesomeness. Most visitors to the park, being day visitors or overnight guests, would venture onto the Mouth Trail at some stage or another. 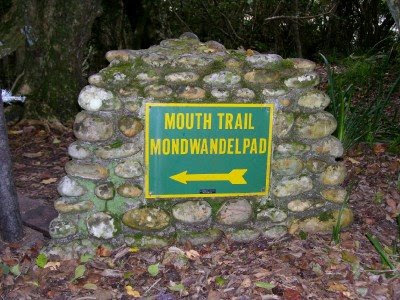 The trail stretches over a distance of about 1 kilometer (and 460 odd steps) from the main rest camp to the mouth of the Storms River. Those embarking on this outing has to keep in mind though that there is no other way back than retrieving your own steps. Kind of a "what goes up must come down" idea. 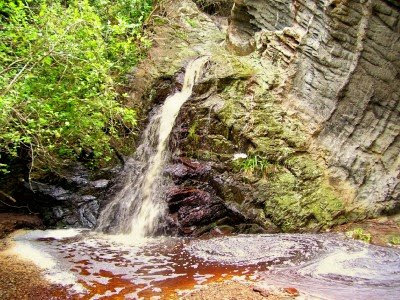 The trail starts off with a walk across the beach just below the restaurant before encountering a small waterfall. It's at this stage where the unfit amongst us take a brief break after the first brisk climb. To take some picture of cause. From here the trail ventures deeper into the forest along the boardwalk. All along the way you can hear birds somewhere in the thicket with the ocean never being very far behind. If you get lucky you may just get a glimpse of the elusive Knysna Loerie in the forest canopy. Name plaques point out some of the indigenous trees while steep paths swing away from the main walkway and lead down to secluded coves. Towards the end (or actually the halfway mark keeping in mind that you still need to go back) you get magnificent vistas out to sea and before the grand prize of the trail shows itself. 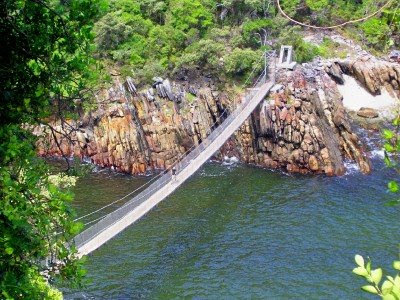 A steep climb down to river level will take you to the Storms River Mouth Suspension Bridge. From here cliffs stretch up about a hundred meters and with the gorge on the left and the open sea on the right, those who don't mind a bit of a swing will step onto the bridge to make their way to the other side. Most people take a couple of minutes to take in the beauty of the area before heading back. Because "what goes up, must come down". I am having one of those days where I don't have anything new to show and going through all my stock I can't really find something that tickles my fancy tonight. "Not good enough, boring, too plain, not artistic enough..." I'm sure you all know the feeling. So as I'm looking through all my pics and remember past travels, I encountered a couple of heavenly beings that are ideal for my "Random ..." theme. 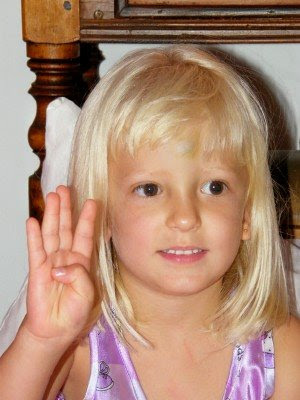 Drama Princess turned 4 yesterday (Friday 20 Feb) and I am starting to shop around for a really big gun. You know the kind of gun that won't just scare would be suitors off, but will keep them away as well. Birthday parties have very much become tradition with our family. We let the kids choose what kind of party they want. This year she chose a Teddy Bear Picnic party. The kids arrived and played, jumped on the trampoline and had a dip in the pool. 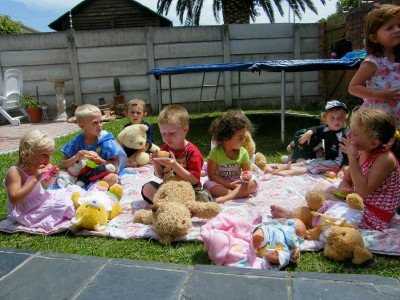 Then proceedings started with a picnic along with their teddies before we handed out the party packs. 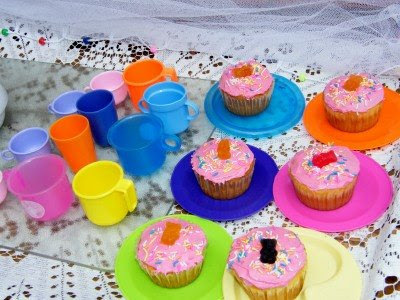 The picnic consisted of cupcakes and "tea" served in Megan's play tea sets. 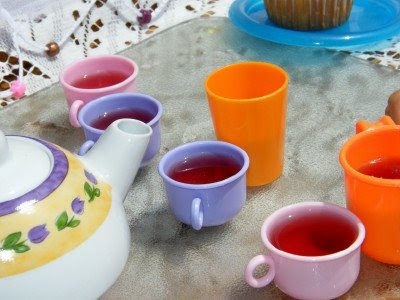 The tea was red grape juice that was poured out of a teapot into the little cups. The kids just loved it. We also had a fashion competition for the kids with their teddies. The kids had to walk with their teddies through the lounge past all the adults, who was clapping and cheering. We didn't think they would, but everybody played along very nicely. 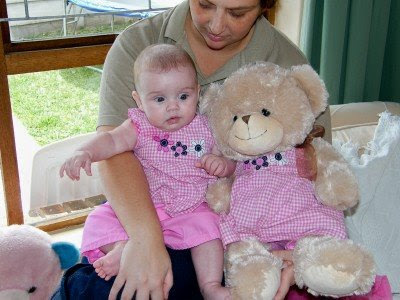 Here is my niece with her teddy, dressed to match. I have a specific liking for succulents and cacti and have various different types planted in pots and in the garden. 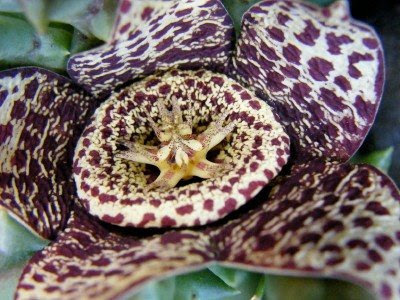 One of the most interesting ones is the Carrion Flower. 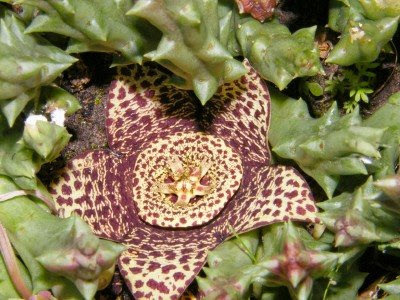 There are different types of carrion flowers and this one comes from the genus Stapelia. This specific species are small, spineless, cactus-like succulent plants. It is native to South Africa, but apparently grown as potted plants elsewhere. The flowers of all species are hairy to varying degrees and generate the odor of rotten flesh. Because this one is so small, you don't smell it from afar, but when you get your nose close to it, the smell is quite clear. The colour of the flowers also mimics rotting meat. This attracts scavenging flies who then pollinates the flowers. 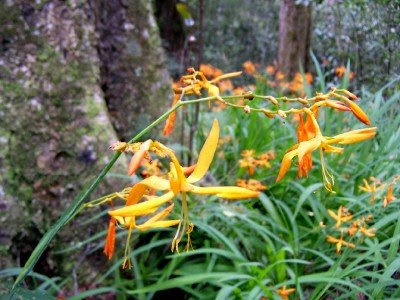 The forest giants of the Tsitsikamma is the Outeniqua Yellowwood. 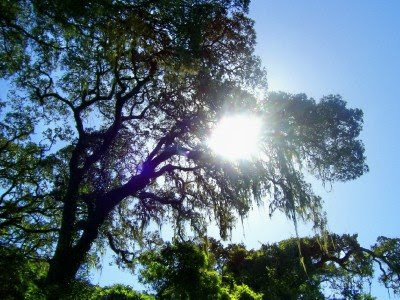 It is South Africa's national tree and grows over 800 years old. Inside the shady forest the sun isn't always visible, but where there are gaps in the forest canopy, usually where ancient trees nave fallen over, it does break through to reach the forest floor. 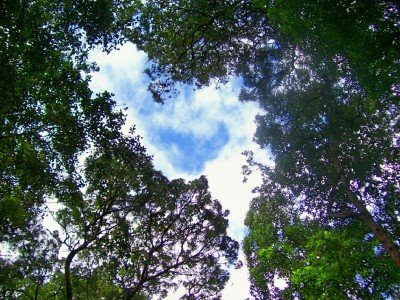 Another sky shot through the canopy. For more awesome sky shots from all over the world, why not head over toe Skywatch Friday. 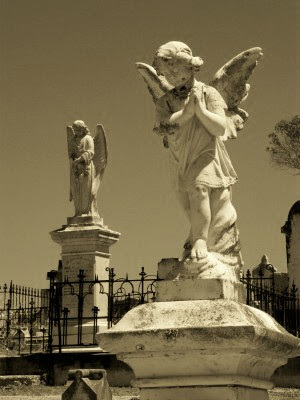 And in sepia... not just because I can, but because I think it looks good. It gives it a certain something which the colour doesn't. 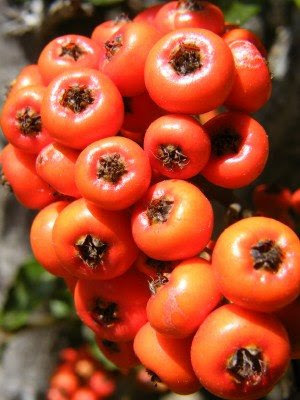 There is a bush just outside our office front door with these red seeds, berries, seeds, berries seedy berries on. I walk past it every day thinking that I should get a close-up of them, but I never have. Till this week. 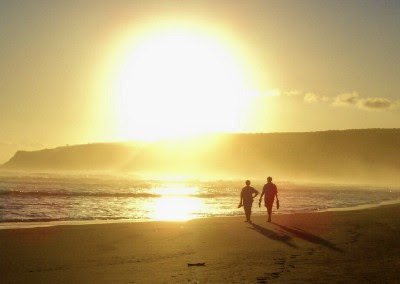 Mossel Bay and Oudtshoorn in the Southern Cape. Last week for Skywatch I showed you some shots of sunset from Signal Hill. This week I think I'll show you a couple more photos of the skies above Table Mountain and the Mother City, Cape Town. 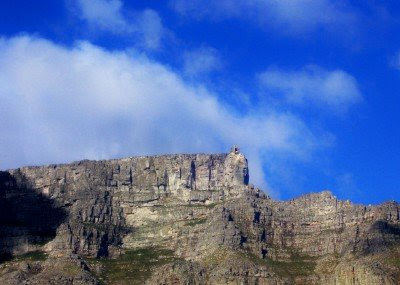 The right hand side of the flat section that forms Table Mountain. Right at the end of the flat section the upper cable car station is visible. 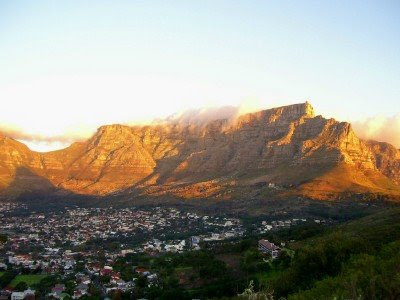 Table Mountain at sunset as seen from the road to Signal Hill. For tons of awesome sky photos from all over the globe, head over to Skywatch for a treat. 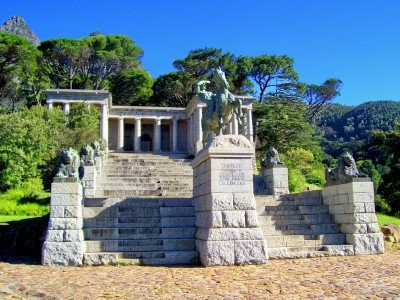 One of my favorite spots in Cape Town is the Rhodes Memorial on the slopes of Table Mountain. 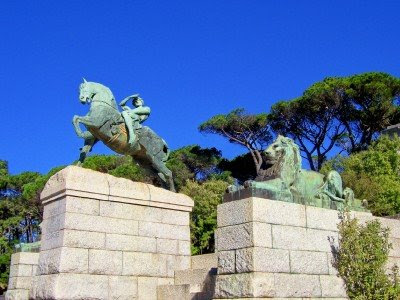 The monument was erected in memory of Cecil John Rhodes (1853 - 1902). Rhodes was an English born South African businessman, mining magnate and politician. He was Prime Minister of the Cape Colony from 1890 and Rhodesia (today Zimbabwe and Zambia) was named after him. 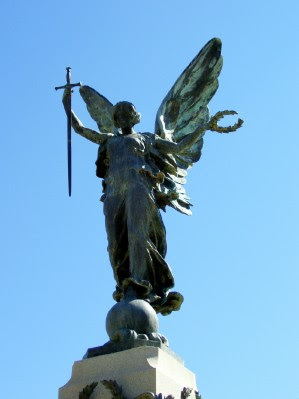 The memorial was built in the shape of a Greek temple. There are 49 steps (one for each year of Rhodes' life) leading up to a bust of Rhodes. 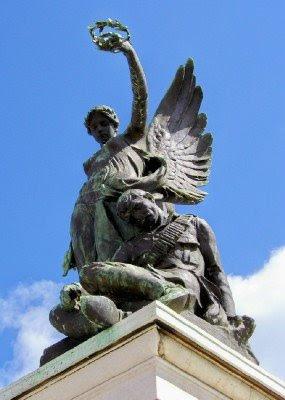 The bronze statue of a horseman called Energy was sculpted by George Frederic Watts while the eight bronze lions flanking the steps are by John Macallan Swan. 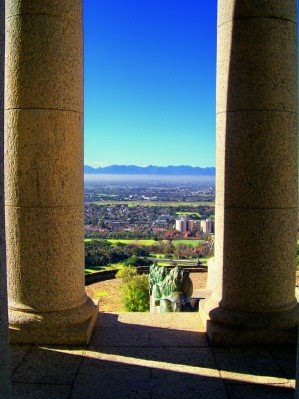 Looking at the view from the memorial you can understand why Rhodes spent so much time up here enjoying the view. Whenever I'm in Cape Town I try to make an effort to stop by here, no matter how briefly. 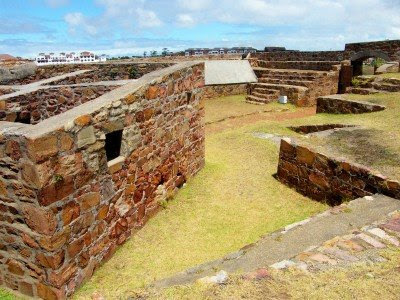 The oldest building in Port Elizabeth, and the Eastern Cape is Fort Frederick. 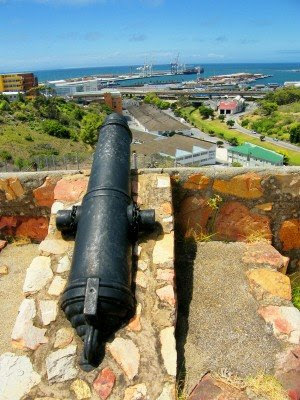 Situated on the hill next to the Baakens River, it was built in 1799 by the British to protect Algoa Bay from invasion. The fort was the first permanent stone structure built by the British in Africa, south of the equator. 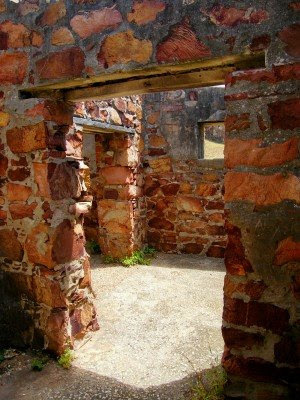 It fort contained a guardhouse, a powder magazine and was armed with two 8 pounder land guns. It was manned by a garrison of 380 men. Looking at the picture it could be difficult to understand why the fort was built so far from the sea. In the background is the Port Elizabeth Harbour which wasn't obviously there in those days. The Baakens Valley below was also the location of a big lagoon in the days which meant that the fort was directly over the water. The guns on the fort today aren't the original guns, but smaller ships' cannons. The interesting thing about the fort is that it never fired a shot in anger. Today there aren't much left of the old fort other than the stone structures. This picture was taken inside the old guardhouse. 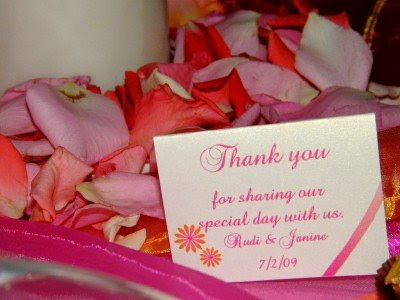 Last night we went to the wedding of our friends Janine and Rudi. For the first time in ages we were at a wedding where our whole table was good friends which meant that we had an absolute ball. 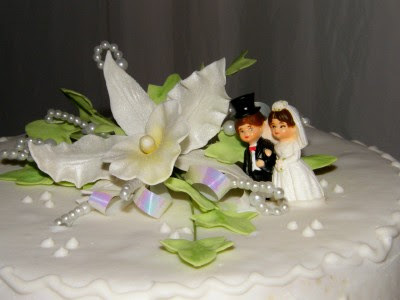 I didn't specifically go to take "wedding pictures", but had my camera on hand and snapped a few along the way. 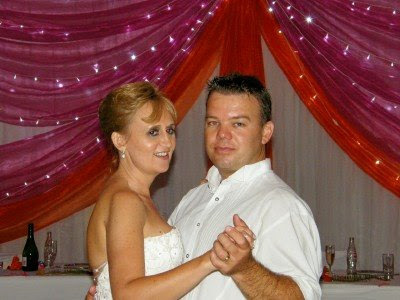 Here the happy couple was having their last dance before going off to... their honeymoon of cause. 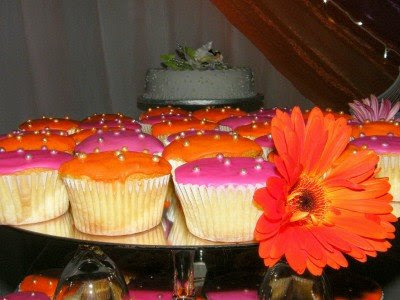 There were cupcakes for all the guests to take home rather than wedding cake. 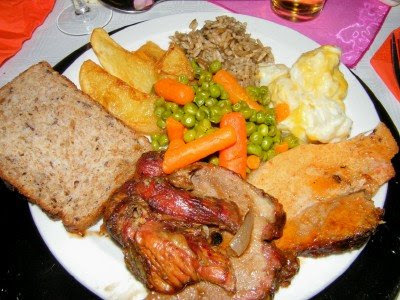 Probably the best plate of food I have had at a wedding. EVER! 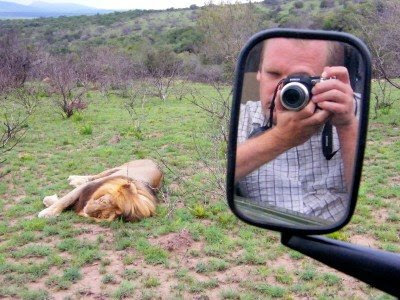 This pic was taken at the Seaview Game and Lion Park just outside Port Elizabeth. 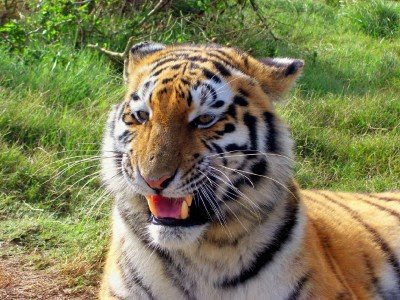 It was taken with my old compact digital camera which means that I was really that close... Ok, so there was a fence between us, but it was still close.